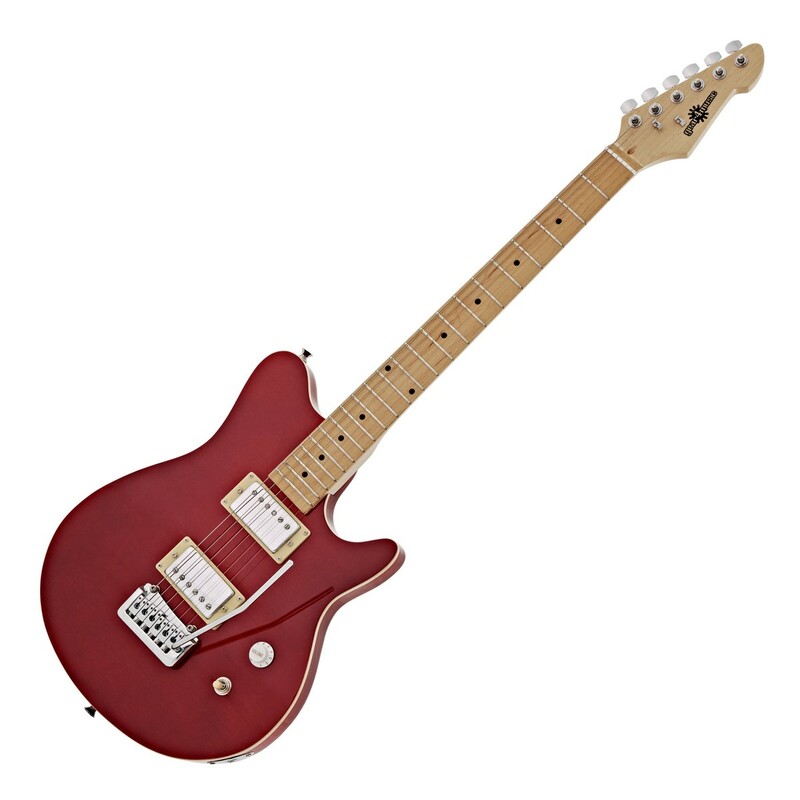 Characterised by its warm tone and great playability, the Santa Monica Electric Guitar by Gear4music is a great all rounder. With a smooth and fast maple neck, along with two closed humbuckers and a contemporary style tremolo, it sounds and plays great. With its classic design and flamed maple top it will look as good as it sounds on stage. 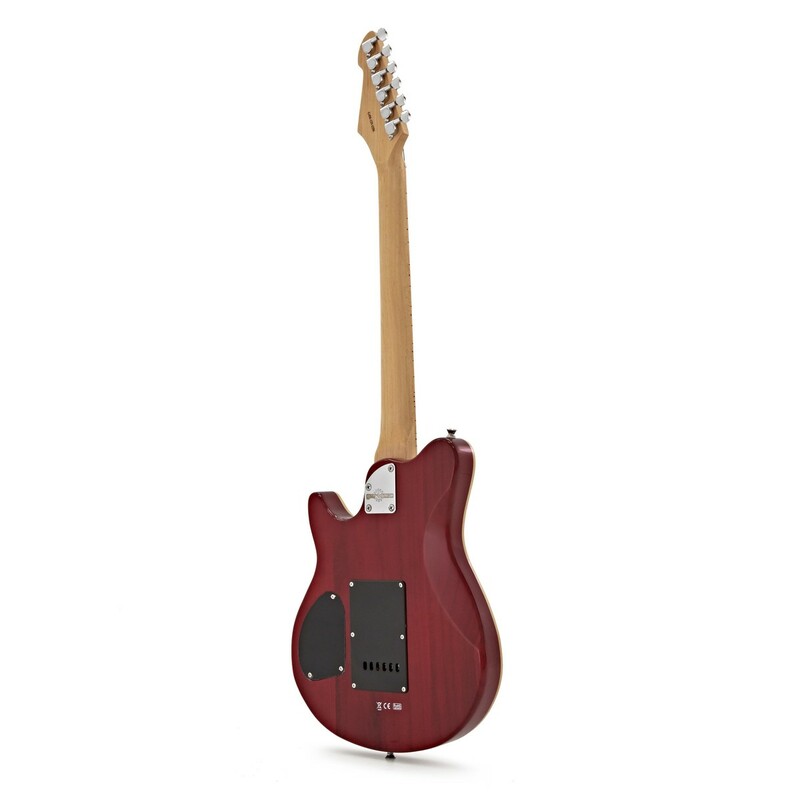 The Santa Monica electric guitar has been designed with the player in mind. 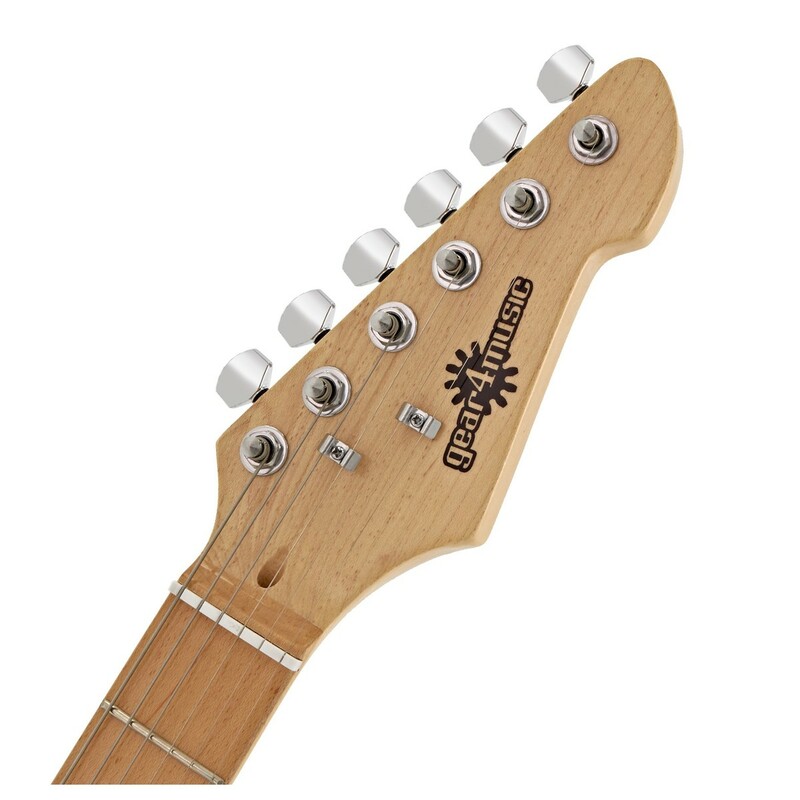 The beautifully contoured body has a deep cutaway, giving full access to all 22 frets on the smooth and fast maple neck. 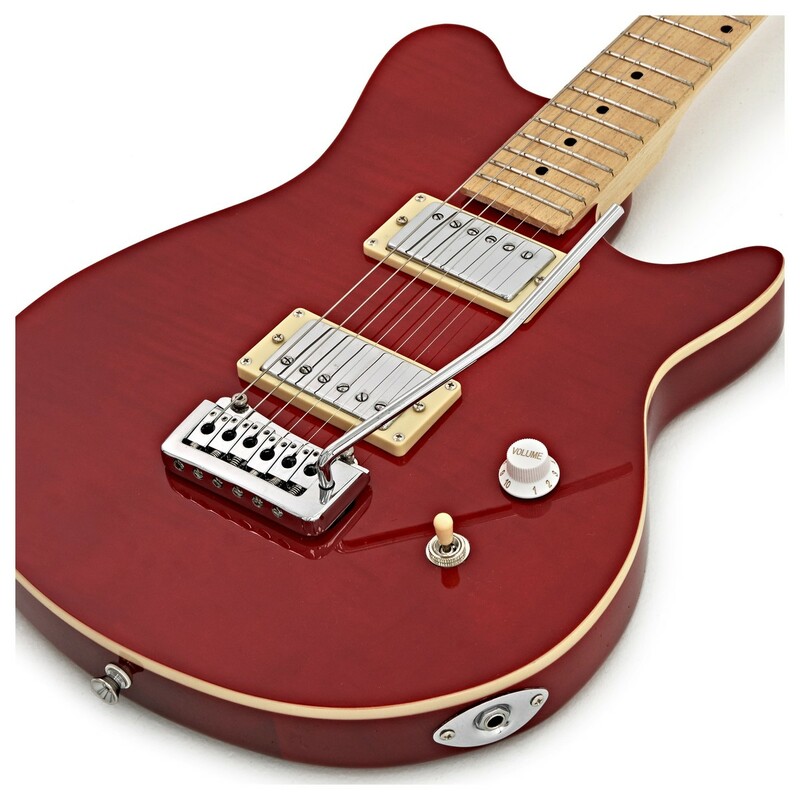 The bolt on neck offers a fantastic sustain, which compliments the full sounding covered humbuckers. 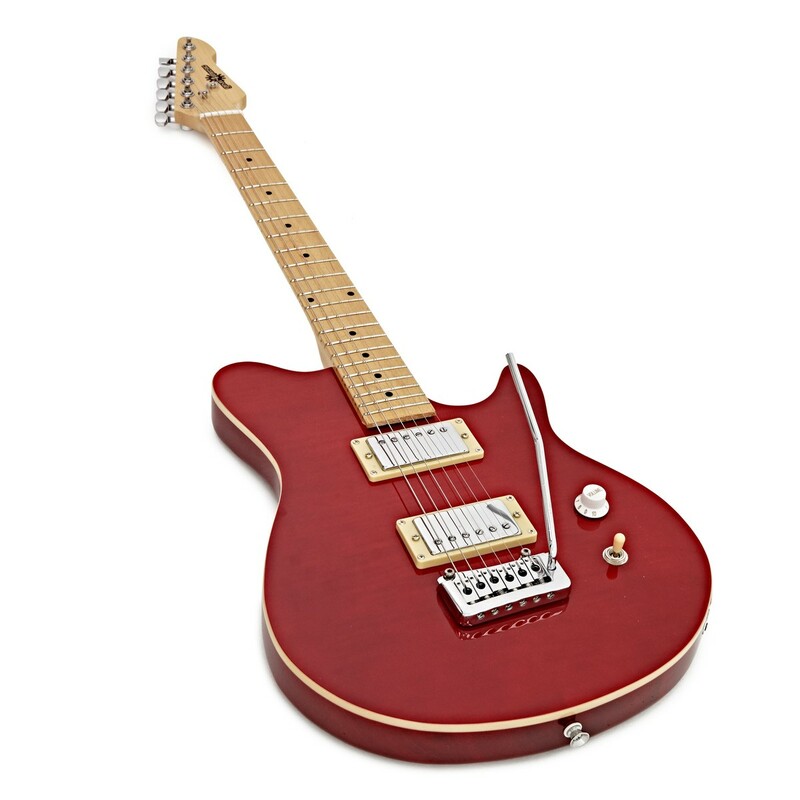 With simple single volume control and a three way pickup selector, it is easy to get a range of sound from this versatile guitar. 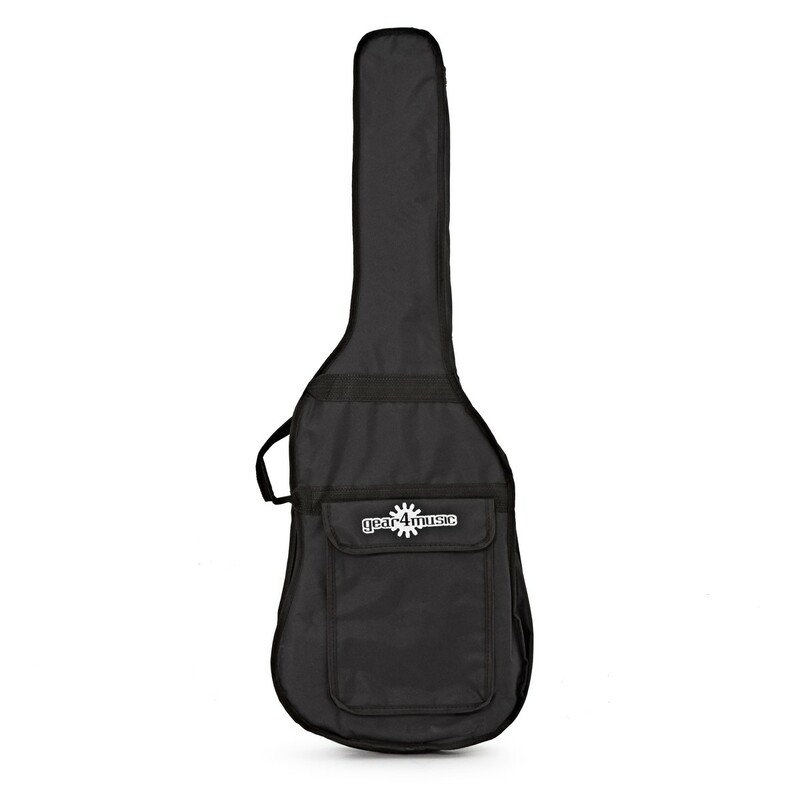 With a contemporary style tremolo you can also add a little flare to your playing. The Santa Monica doesn't just sound and play great, it looks great too! The attractive body shape is complimented by a flamed maple top, visible through the transparent red finish, giving it a stunning look. With a retro feel, the pickup surrounds are in a vintage cream, that beautifully compliments the maple neck. This guitar will really stand out on stage.